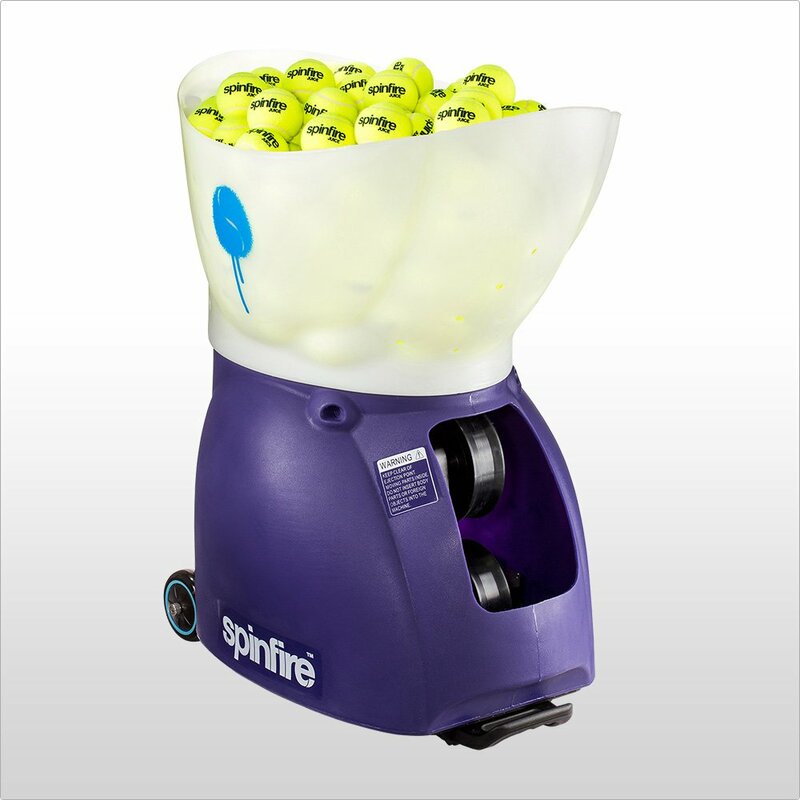 The Spinfire Pro 1 ball machine is the first model in the Pro series. Feature packed, it includes internal horizontal oscillation, extreme spin, LCD display, 200 ball capacity, membrane touch panel and more. The Spinfire Pro series uses “extreme grip” counter rotating wheels to propel the balls. This is the most effective method of ball propulsion allowing the machine to remain silent and effectively produce topspin and slice. The wheels are black to help disguise their location inside the machine, helping to make each shot less predictable. These machines allow for the hopper to be reversed to neatly cover the machine making it very compact. The solid wheels and handle allow you to easily move the machine. The handle is stored underneath the machine and extends when required. 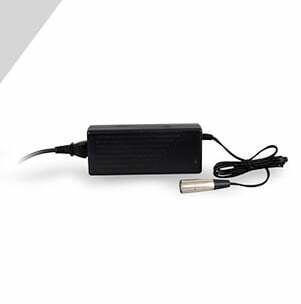 We now provide the option of either an internal or external battery configuration. With the innovative Spinfire External Battery Pack your ball machine is much lighter, allowing you to leave it in the car and bring inside only the battery for charging. The machine is controlled by a membrane touch panel with a back-lit LCD display featuring the settings, battery life & diagnostic information. These machines have “extreme grip” throwing wheels which can create very high levels of topspin & slice. When set at the maximum level, the difficulty of the spin is so high that if you can master it, you will have no trouble dealing with your opponent’s in real match play. Of course you can always set the spin to much easier levels for more realistic practice. The Spinfire Pro series of ball machines oscillates horizontally internally and moves quickly making shots less predictable. This design moves away from the traditional ball machine model of oscillating the whole body which is slower and more predictable. The width can be set to “wide” or “medium” to change the level of difficulty. Utilising infrared and magentic sensors, the Spinfire Pro series of machines can calibrate themselves before every use, allowing you to line up the machine to the center of the court. When turning off horizontal or vertical oscillation the machine will calibrate itself back to its original position. After spending time learning your favorite settings and inputting them into the machine, it’s nice to know that they are memorized. Each time you turn on the machine it recalls the last settings you were using for interval, speed and spin. This machine can be upgraded to a Spinfire Pro 2 for a fee. Please contact your local dealer for information and pricing. The Spinfire Pro series of machines come with a 2 year warranty on parts and labor (USA only, please contact your local distributor for warranty information in your country). Fast Charger – will charge the machine in 4 hours instead of 11 hours. Cover – this water resistant cover will protect the machine from dust, debris, leaves, etc. It should not be used to leave the machine out on the court in the weather. The machine can still be wheeled while using this cover. Carry Case – this water resistant heavy duty carry case will allow you to use the handles to transport the machine to and from your destination. It also includes pockets for storing the remote control, charger and other items. The machine can still be wheeled while using this case. We deliver globally, direct to your door. Contact our friendly staff for sales or support information. We accept major credit cards, Paypal, or bank deposit. Spinfire started life with a vision to create products that catered for the needs of tennis enthusiasts world-wide. Through years of hard work and dedication to this vision, the range has been created. Our products are innovative, creative, cutting edge and constantly evolving as technologies improve. Copyright © 2019 SpinfireSport.com. All rights reserved.